What Causes Discoloration in Double-Pane Windows? Double-pane windows work to keep your home more comfortable and energy efficient by limiting the amount of thermal energy that passes through the window, thereby keeping the home cooler in the summer and warmer in the winter. Because double-pane windows are designed quite differently than traditional windows, homeowners need to be aware of indications of potential problems with those windows -- discoloration being one such indication. 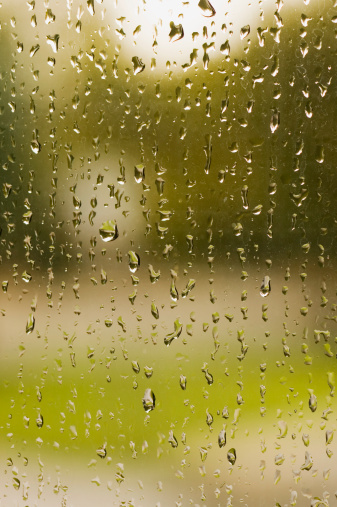 Windows often bear signs of indoor moisture problems. Discoloration as a result of moisture damage on windows typically appears as black or dark-colored streaks along the surface of the window -- the discoloration may not feel wet, even though it is a result of excess moisture. Discoloration on a window surface can also simply be white, orange, green, brown or black mildew or mold growth, again as a result of excess moisture inside the home. At its core, moisture problems in the home that can cause your windows to discolor are caused by high relative humidity inside the home. Relative humidity is a result of the amount of moisture or water vapor produced inside the home, the relative humidity outside and the rate at which your home can replace damp air inside with dry fresh air (the "air exchange rate"). When all these factors combine, high moisture levels inside the home can damage and discolor windows as well as cause a long list of other problems, such as wood rotting and health problems for your family. You can attempt to replace the glass pane that has become discolored while leaving the window itself intact, but in general, it is more cost effective and less risky to replace the window altogether. Replacing the window altogether means you won't have to risk damaging the nondiscolored part of the window; it also gives you an opportunity to purchase and install a window lined with discoloration-resistant film in order to prevent more moisture problems in the future. Replacing or repairing the window will take care of the problem of a discolored window, but long-term control of this problem involves eliminating the source of excess moisture in the home that caused the discoloration in the first place. Unclog downspouts and foundation drains that back up and introduce excess moisture into the home; install a moisture barrier in the basement if it does not already have one and inspect all insulation, repairing any that has become water-logged and ineffective. Allowing moist air to seep into the home is the leading cause of excessive indoor moisture, so sealing the pathways by which moist air can enter the home can go a long way in preventing high relative humidity and moisture indoors. What Causes Water Streaks on Interior Walls?